Following hot on the heels of Cinderella, Alice in Wonderland, The Jungle Book and, of course, last year year’s box office titan Beauty and the Beast, Aladdin is the latest live-action reimagining to enter development over at Disney, with the House of Mouse also making plans to bring us a Jungle Book sequel, Mulan, The Lion King and a Dumbo movie from the inimitable Tim Burton in the not too distant future. Yes, it would seem no property is beyond the reach of the studio’s wildly ambitious new hobby. Said to be a reimagining of the 1992 classic, director Guy Ritchie and his team have promised to deliver a modern-day yarn with Aladdin that’s both nuanced and faithful to the beloved original, which gave us a terrific, memorable performance from the late, great Robin Williams. 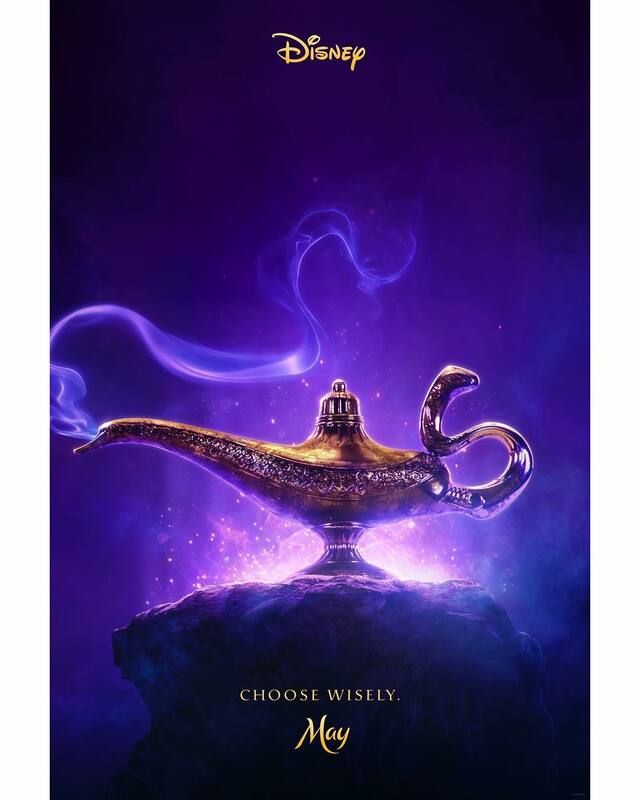 For this new version, however, Will Smith (Suicide Squad) will take over the role of the gregarious Genie and after providing us with a simplistic poster just yesterday, Disney’s now unleashed the first trailer for Aladdin. It doesn’t show off a whole lot, but it sets the tone for what’s to come, teasing us with what should be another fun, and seemingly mature, live-action retelling of one of their classics. Whether or not it can live up to the original remains to be seen, but as of now, you can color us cautiously optimistic. Story-wise, we understand Ritchie will be directing from a script penned by John August, and with the marketing campaign now officially underway, it won’t be too long before Disney begins to bring us more intel on what exactly they’ve got planned. If their recent track record’s anything to go by, though, this project will likely be another smash hit for them. The cameras, they are a-rolling on the set of Aladdin, which puts it on course for a May 24th, 2019 release. And given what we can see in this new trailer up above, it looks like the Mouse House is about to open up a whole new world.